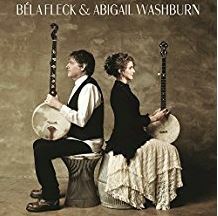 Bela Fleck & Abigail Washburn were the duo that closed out the 2016-2017 season of Civic Music. And boy, can they both play the banjo! This 2014 album, which stylistically is more folk than the jazz and classical music Bela is known for, is the very first album they ever recorded together – and it is a great one – check it out!